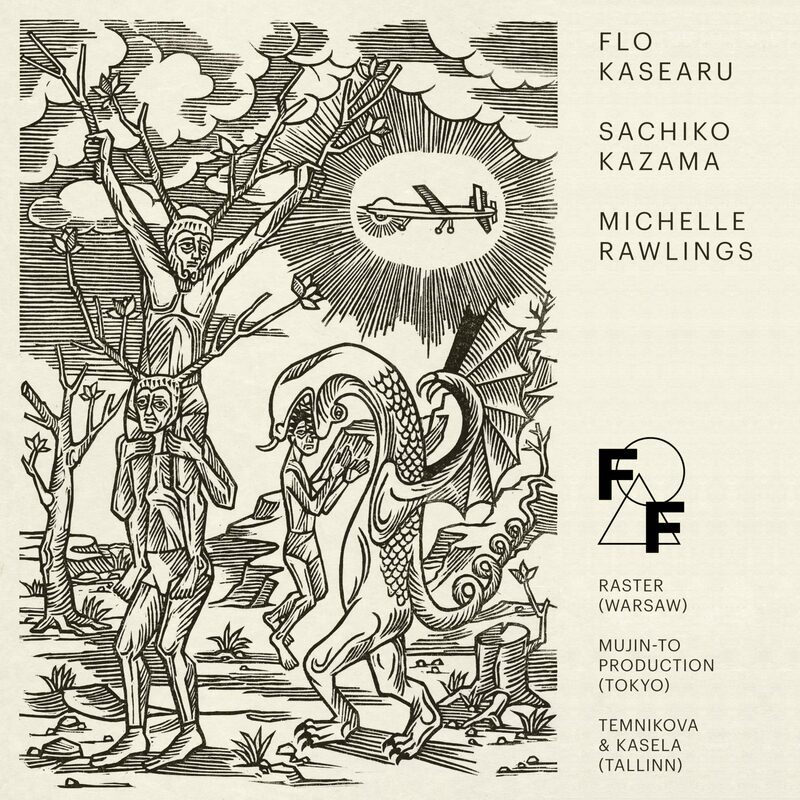 In the 2nd edition of the Friend of a Friend project, Galeria Raster invites you to an encoun­ter of three artists from three con­tinents: Flo Kasearu from Estonia, Sachiko Kazama from Japan, and Michelle Raw­lings from the United States. 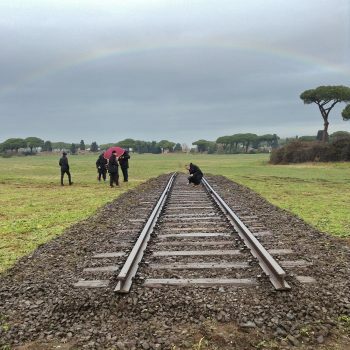 Each of them works in a dif­ferent medium and cul­tural con­text, employing an individual, expres­sive lan­guage. 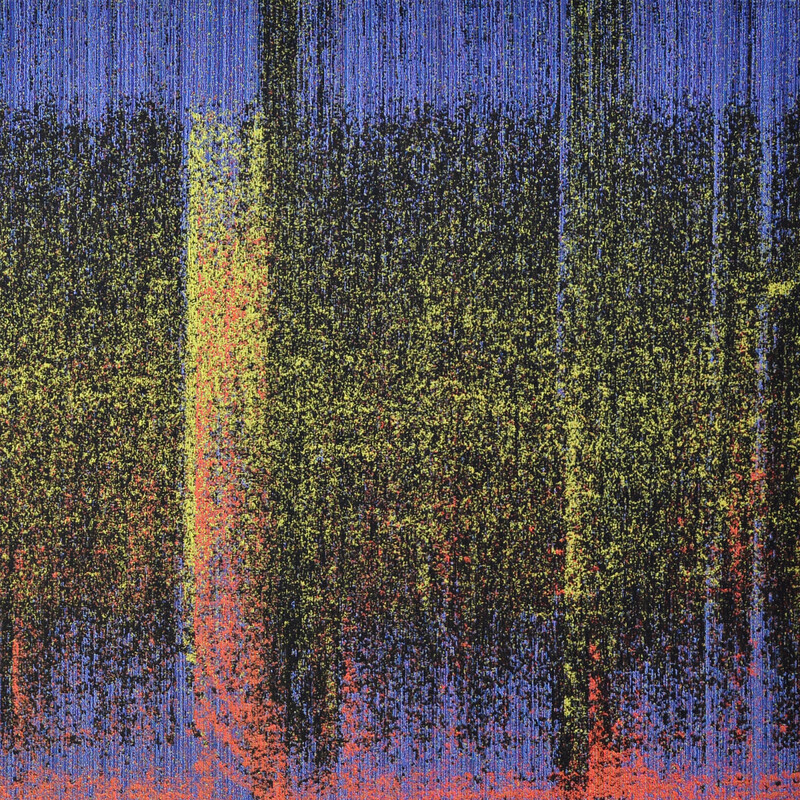 In varying ways, all of them negotiate the social and political dimen­sions of artistic work. Metaphorically and seasonally, the exhibition 1000 Hands suits the climate of the pre-​spring thaw, illuminating a land­scape of exhaustion and approaching, intuitively sensed change. 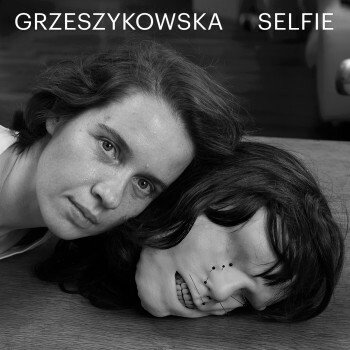 In Polish literature this metaphor car­ries a political dimen­sion. 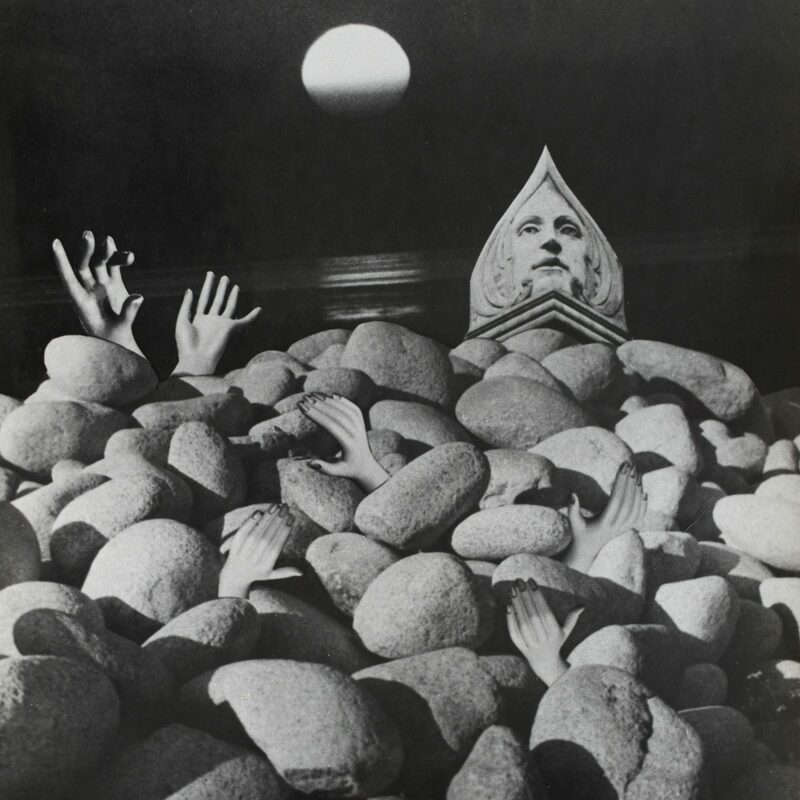 In the works shown together here by Rafał Buj­now­ski (1974–), Peter Puklus (1980–) and Zofia Rydet (1911–1997), what is vital is the very process of trans­for­mation, and the accom­panying ambivalence, the tem­perature of inter­per­sonal relations and the poten­tial of the human hands from the title. 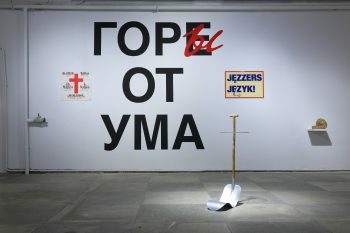 “Slippery” at Raster is Karolina Jabłońska’s first individual show in Warsaw. In her pain­tings girls wear rings and guys wear wat­ches, but the stereo­typical logic of dominance is rever­sed. The heroines here are idols, sooth­sayers and thieves, and relation­ships and pas­sions explode as violen­tly as they end, in emotion. Here exag­geration and hyper­bole are the rule for both com­position and life. The post-​romantic figure of the drun­ken artist is fading into the past, leaving behind a land­scape lit­tered with hal­lucinations, depravity, and shat­tered illusions. 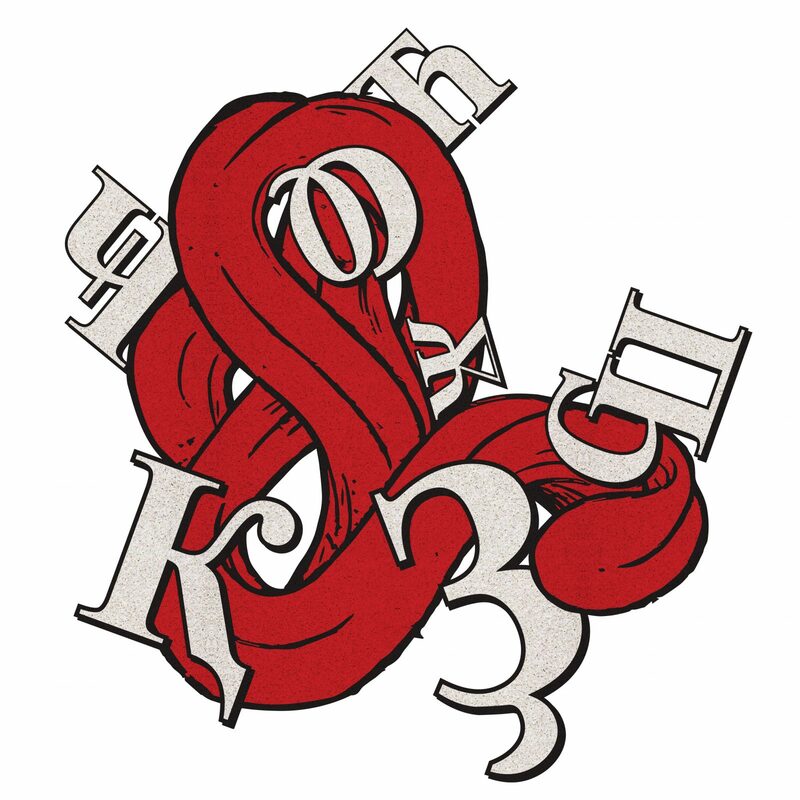 This is the story of the intimate ties between con­tem­porary art and vodka. Con­ceived as a medley of artworks and documen­tary con­tent, the exhibition features Krzysztof M. Bed­nar­ski, Olaf Brzeski, Michał Budny, Rafał Buj­now­ski, Oskar Dawicki, Edward Dwur­nik, Władysław Hasior, Jerzy Lewczyński, Honorata Martin, Dominika Olszowy, Zbigniew Rogal­ski, Wil­helm Sasnal, and others. 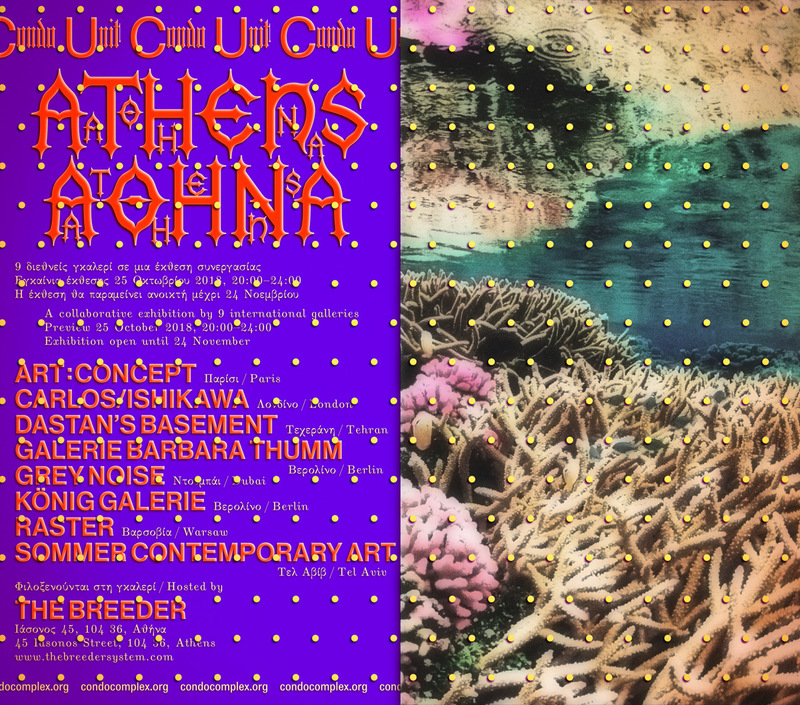 Raster is among nine renow­ned gal­leries from Europe and Middle East to take part in the Condo Unit show in Athens. W ramach kolej­nej odsłony cyklu ORNO, dedykowanego spółdzielni jubiler­skiej, która przez kilkadziesiąt lat użytkowała lokal przy Wspólnej 63 – obecną siedzibę Rastra – prezen­tujemy prace współczesnych artystów wykorzystujące tkaninę – materię ściśle związaną z tzw. 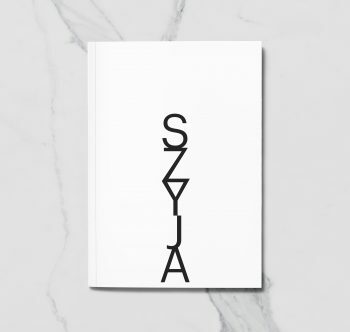 sztuką użytkową. 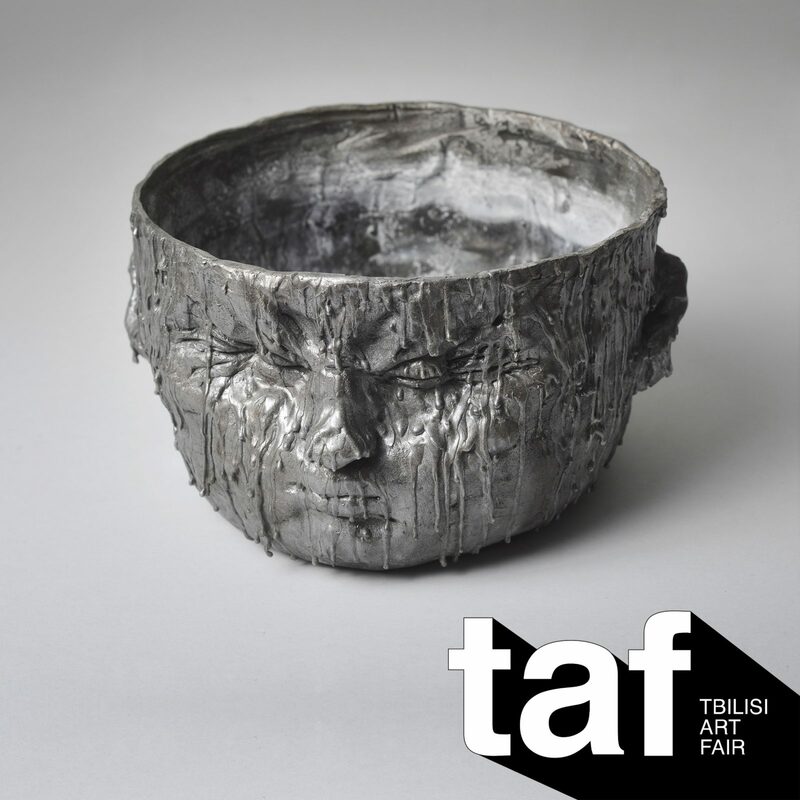 Raster at Tbilisi Art Fair: Olaf Brzeski, Prze­mek Matecki, Zofia Rydet, Slavs and Tatars. “Friend of a Friend” is a con­cept based on the prin­ciple of frien­dly col­laboration between con­tem­porary art gal­leries. 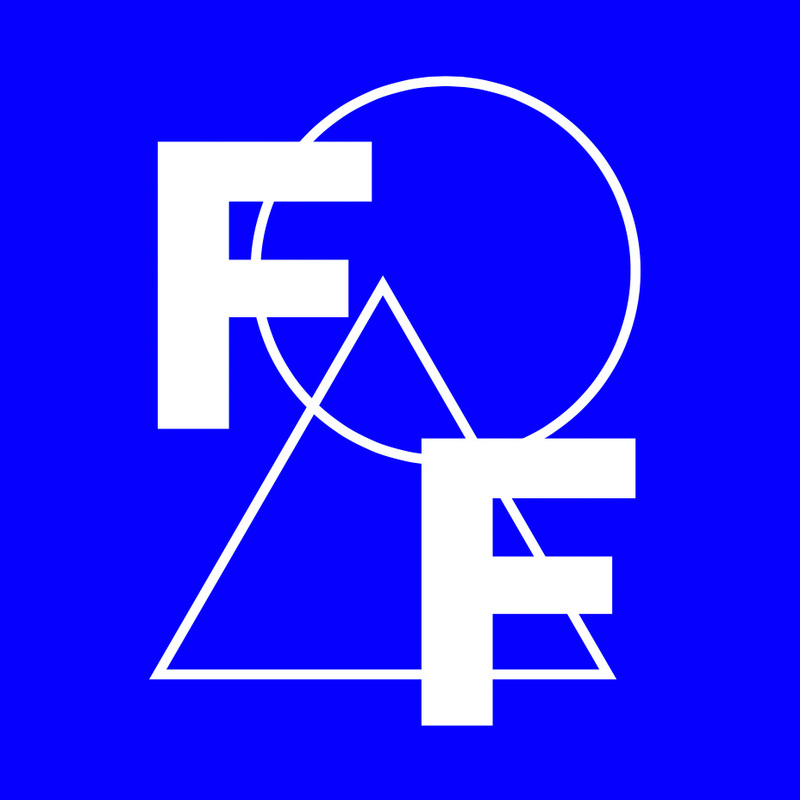 It puts together Warsaw-​based spaces as hosts with inter­national guests, and thus aims to establish an alter­native plat­form for com­mer­cial gal­leries to present con­tem­porary art. 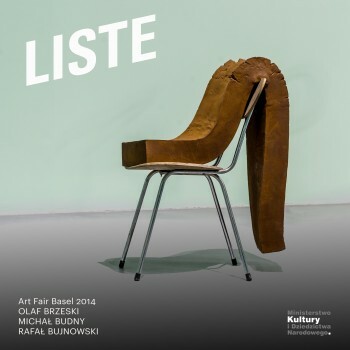 The group exhibition prepared at Raster will inc­lude works by Breyer P-Orridge (1950, UK) from Zurich’s Galerie Bern­hard, Andrea Kvas (1986, IT) and Nick Bastis (1985, US) from Vienna’s Ermes-​Ermes gal­lery, as well as Olaf Brzeski. 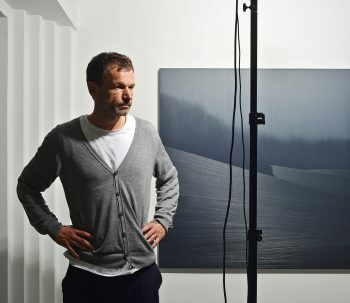 In his latest series of pain­tings, which he worked on non­stop for the past year or more, Matecki takes on the vast­ness of art. 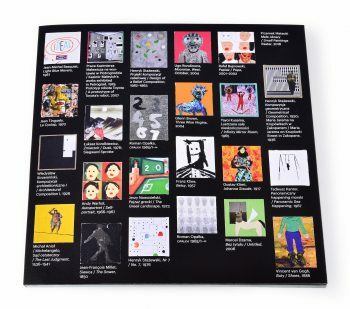 A tan­gible symbol of its fecun­dity is the heavy piles of super­fluous exhibition catalogs and art magazines which the artist brow­ses through in search of inspiring material for his own work. 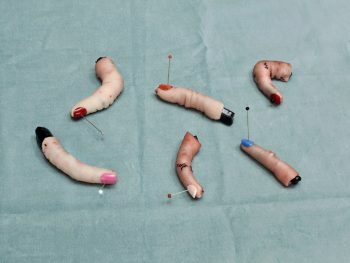 Matecki gives new life to reproduc­tions, trans­for­ming them into sharp, witty miniature oil pain­tings. The treat­ments he applies generate sur­prising effects. Here art is sub­mit­ted to an authorial com­pres­sion and regains its vigor. 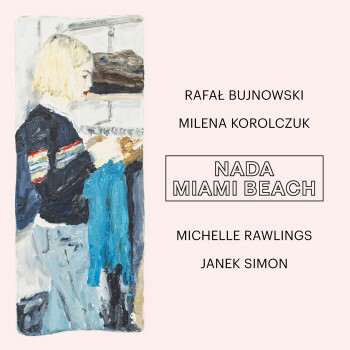 Often with a single gesture, Matecki extracts the essence from the work of other artists and creates entirely new pain­tings exuding energy and humor, a kind of con­tem­porary, masterly capriccio. Sourced from the mul­tiple architec­tonic and tech­nological realities that exist in Warsaw, the sub­jects of Tajima’s exhibition—machine, book, and body—are unseen. Instead they provide the under­lying tech­nical material for the hardware-​laden sculp­tures and abs­tract woven textiles in AIR. 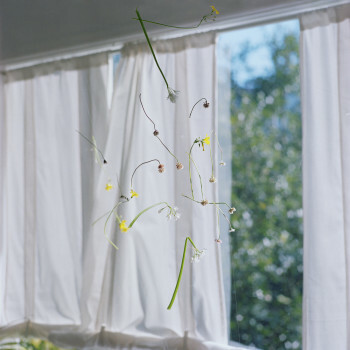 Together the objects intimate a still obstinate and unreadable body in trans­for­mation. Skin per­forated. Mind laced. Input ready. Con­figured for performance—work, pleasure, war. Not yet fully machine. 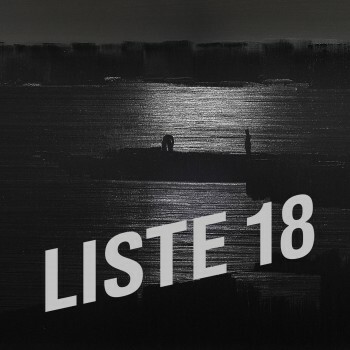 The exhibition at Raster will be the first individual show of the artist’s works in this part of Europe, premiering Sep­tem­ber 2017 as part of Warsaw Gal­lery Weekend. 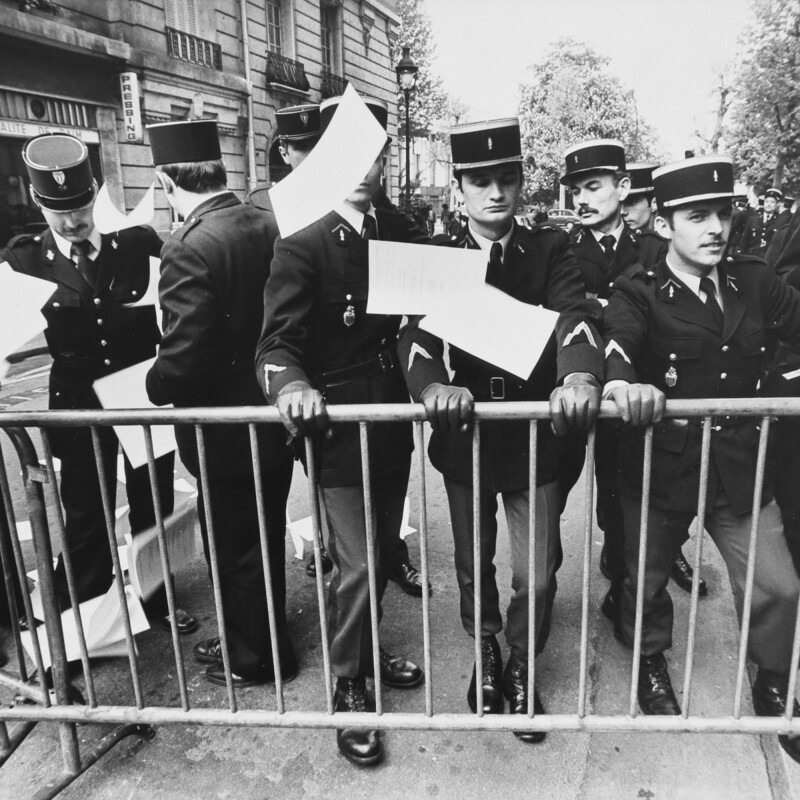 In 1977, Krzysz­tof Prusz­kow­ski, a Polish-​born photographer residing in France today, was not yet a legal resident. As a man without a coun­try, he began a project that bore the stark, Polish title Barierka (Bar­rier). Over several months, he produced a few hun­dred black-and-white photographs depic­ting the streets of Paris, cut off at various angles by the metal bloc­kades residents have come to know so well. The exhibition of photographs and album reveal a series of images as in a silent film, with only one hero – barierka in the title role. 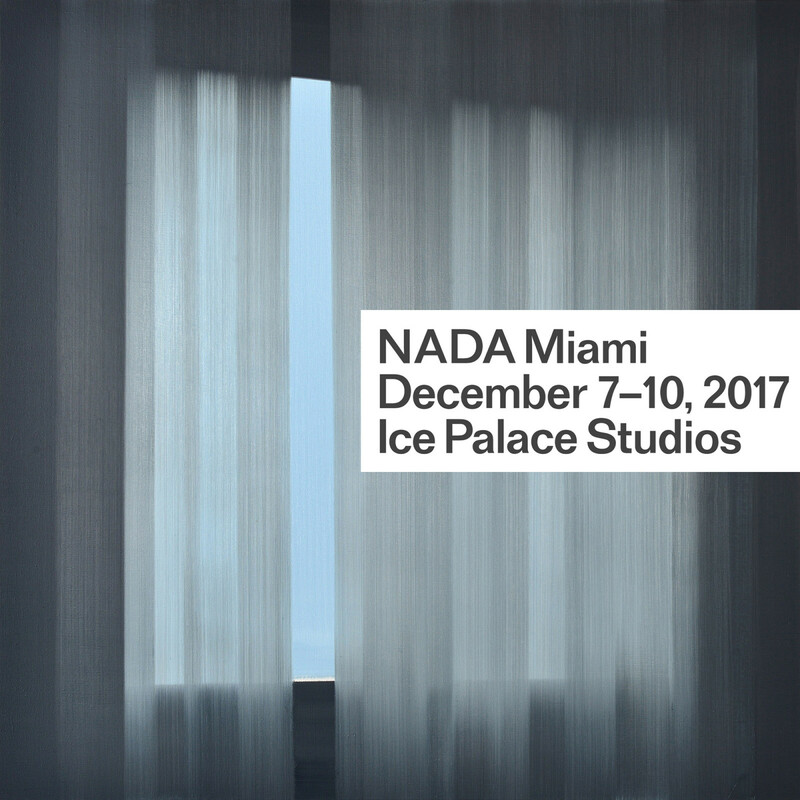 Raster at NADA Miami Beach: Rafał Buj­now­ski, Milena Korol­czuk, Michelle Raw­lings, Janek Simon. Booth 4.08. 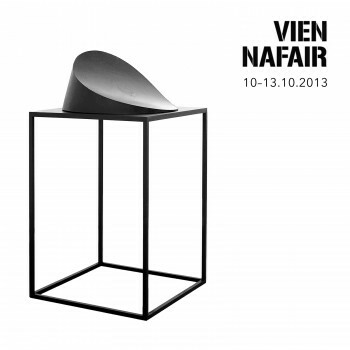 Raster at vien­nacon­tem­porary in Vienna: Michał Budny, Rafał Buj­now­ski, Aneta Grzeszykowska. (Polski) Mistyfikacja należy do ulubionych metod twórczych Anety Grzeszykow­skiej. 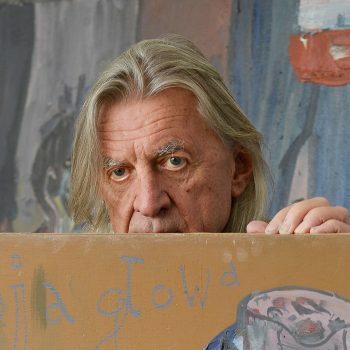 Artystka kon­sekwent­nie, wręcz obsesyj­nie rozkłada na części swój wizerunek, znika bądź pod­szywa się pod cudze tożsamości. Analiza procesów autokreacji­ – jed­nego z fun­damen­tal­nych tematów sztuki, ale także pod­stawowej kwestii dla kon­dycji dzisiej­szego, post­medial­nego społeczeństwa – ­jest również prze­wod­nim motywem naj­now­szej serii zdjęć. 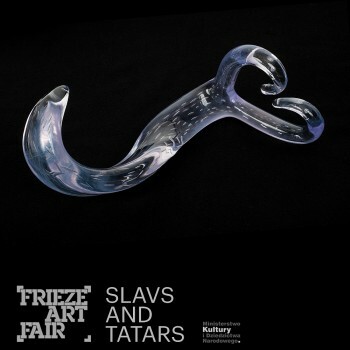 Raster at FRIEZE ART FAIR London: Slavs and Tatars. 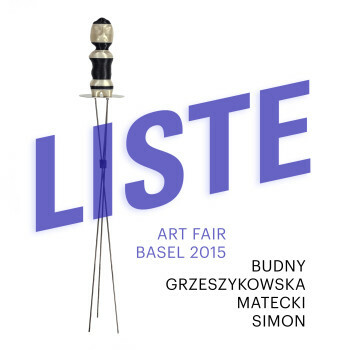 Raster at LISTE 19 in Basel: Olaf Brzeski, Michał Budny, Rafał Bujnowski. 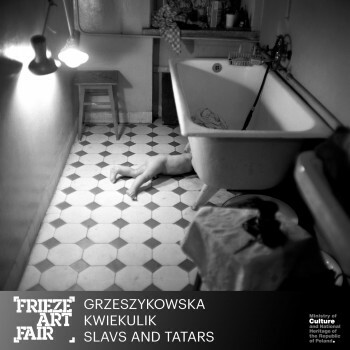 Raster at FRIEZE ART FAIR New York: Aneta Grzeszykow­ska, KwieKulik, Slavs and Tatars. 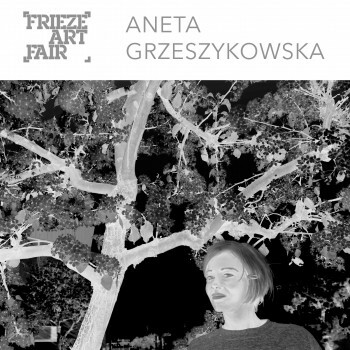 Raster’s booth at FRIEZE ART FAIR in London was dedicated entirely to Aneta Grzeszykowska. 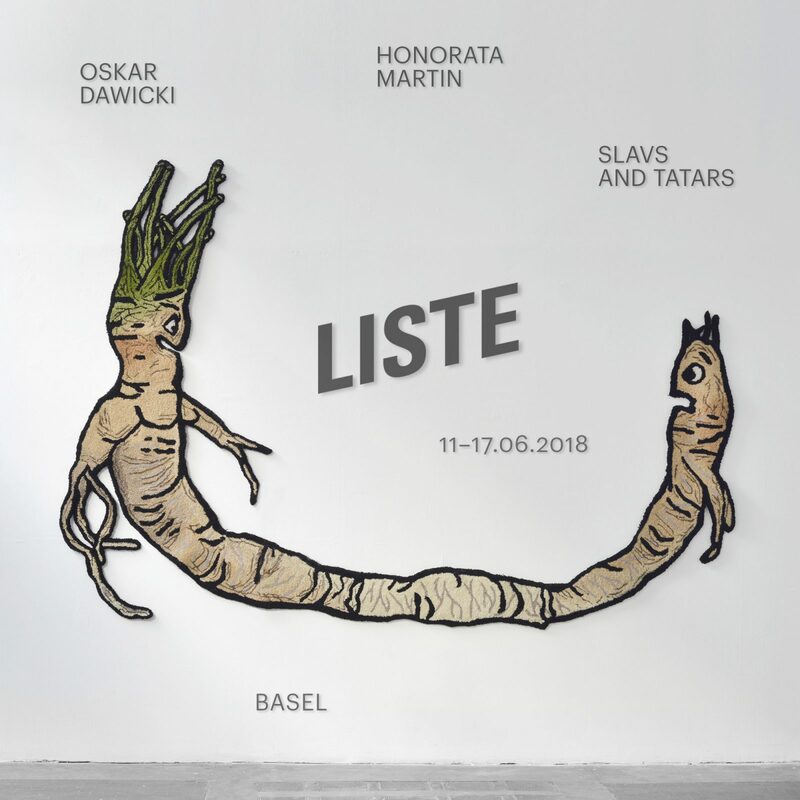 Raster at LISTE 18 in Basel: Rafał Buj­now­ski, Milena Korol­czuk, Slavs and Tatars. 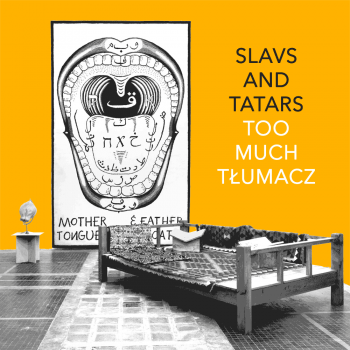 Slavs and Tatars’ first solo show in Warsaw takes on the per­for­mative use of language. 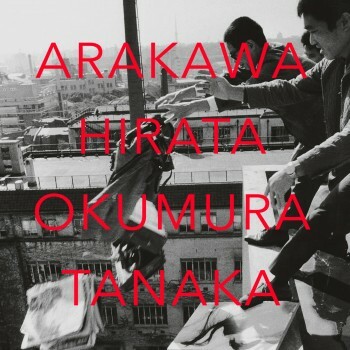 The exhibition takes its cue from an intense period of artistic and political activity at the end of the 1950s in Japan. 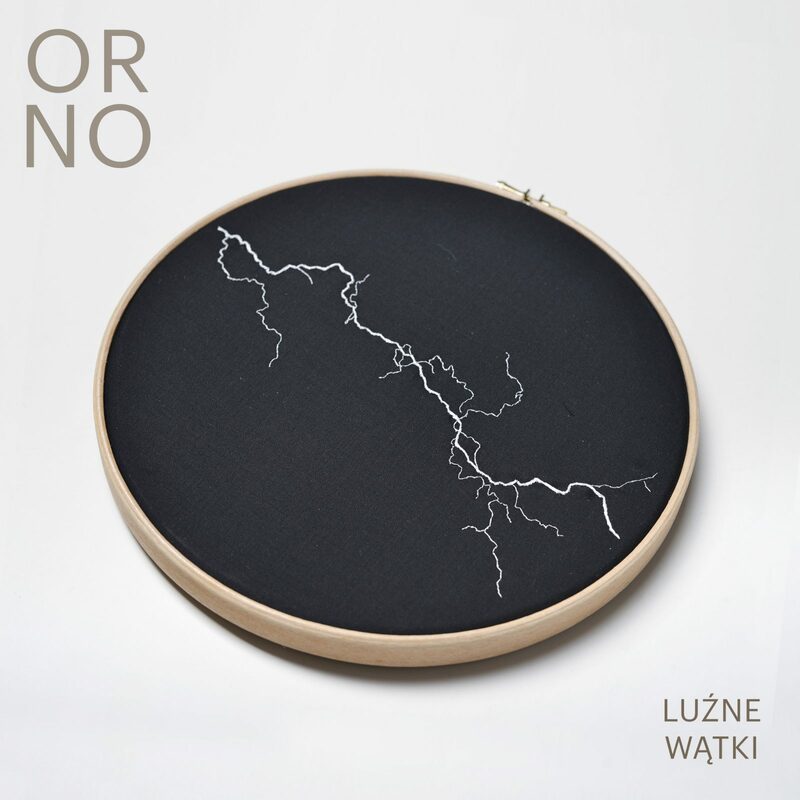 The exhibition is effec­tively the premiere of a col­lec­tive project by Aneta Grzeszykow­ska and Jan Smaga that has been con­ceived in paral­lel to each artist’s individual projects over the past few years. 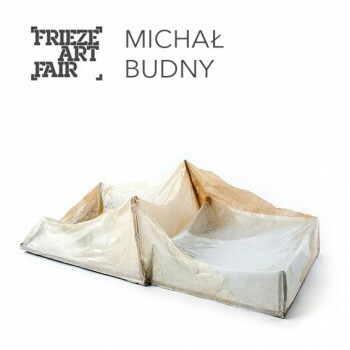 Much like his ear­lier works, Budny’s ‘Żywica’refers to the human presence. It drives and streng­thens our sen­sibility towards the architec­ture sur­roun­ding us. 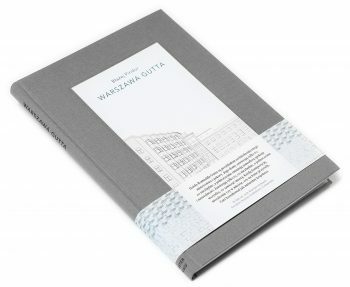 “Romuald Gutt’s Warsaw” by Błażej Pindor, a book from our architec­tural Warsaw series of publications, with a special photograph by the artist in limited edition of 30 copies. 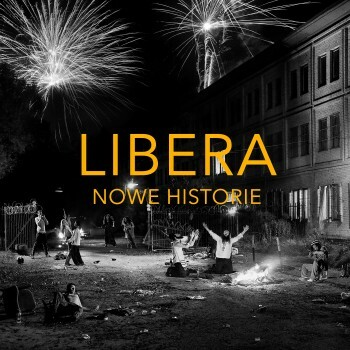 Collector’s edition of Zbigniew Libera’s “Photographs” album with a limited edition miniature format of his “First Day of Freedom” 2012 photograph. 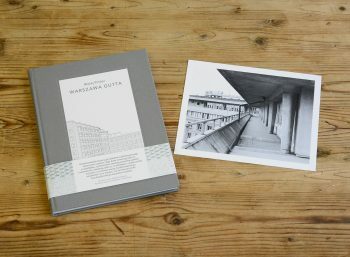 A book devoted to the work of Romuald Gutt, one of the most impor­tant Polish architects of the 20th cen­tury, forerun­ner of organic architec­ture, designer of charac­teristic buil­dings of grey brick, public edifices and residen­tial structures. Łukasz Gor­czyca and Łukasz Ron­duda discuss art, vodka, and the back­stage of artistic life from the 1960s to the present, in a col­lec­tion of interviews with 14 artists from several generations, from Jerzy Bereś to Woj­ciech Bąkowski. A joint col­lec­tion of photographs to which Grzeszykow­ska and Smaga refer to as their “private archive” is on the one hand a peek into the back­ground of the couple’s artistic prac­tices, on the other—provides an indelible record of life in such a partnership. The only exam­ple still for sale of the excep­tional early sculp­tural works by Budny that laun­ched the artist’s inter­national career. Seria wydruków zgłębiająca często zanie­dbywany temat mistycz­nego wymiaru nowoczesności stworzona została w ramach “Beyonsense” – indywidual­nej wystawy Slavs and Tatars w Museum of Modern Art w Nowym Jorku. 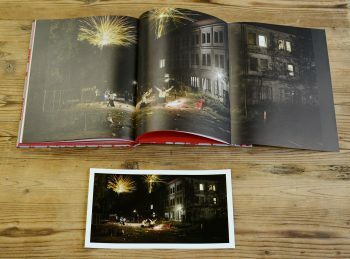 Published in this volume are part of a larger series of several hun­dred works created in 2016–2018 and exhibited in a show at Raster Gal­lery in February–March 2018. They were made using paper reproduc­tions and oil paint on canvas. They are pic­tured here actual size. 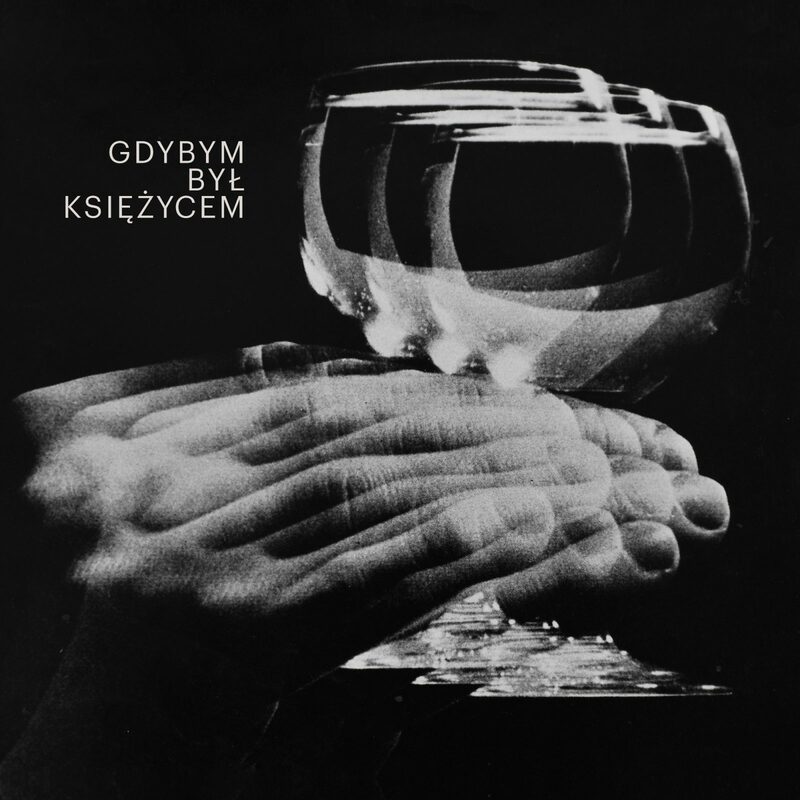 All eighty-​four photographs from the “Negative Book” series by Grzeszykow­ska published in one album. 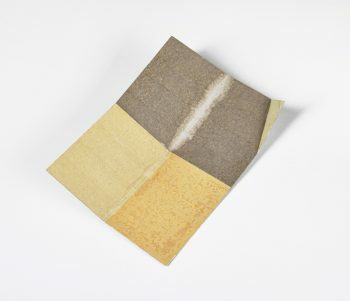 The collective’s first monograph inc­ludes all major art works, publications and lecture–performances from the past ten years, assem­bled in one volume. We kindly inform that on Satur­day, April 20, 2019 gal­lery will be closed. We apologize for inconveniences. “Movaland” exhibition by Slavs and Tatars at Ў Gal­lery in Minsk, Belarus. On 22 February we invite you to the opening of the Janek Simon retrospec­tive at Ujazdowski Castle Centre for Con­tem­porary Art in Warsaw. 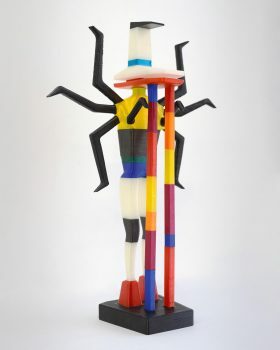 The exhibition will feature the most interesting works, objects and instal­lations by the artist drawn from the first 15 years of his career, along with new projects on psychedelia and artificial intel­ligence, as well as documen­tation of Simon’s curatorial and social initiatives. 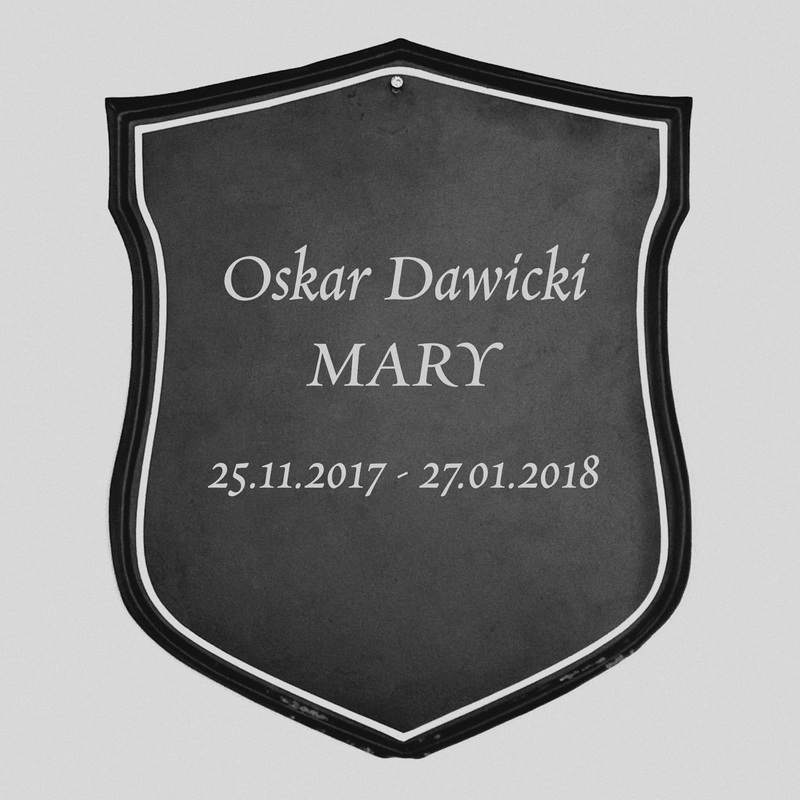 Rafał Buj­now­ski was named the laureate of the Jan Cybis award for 2018, given by the Warsaw chap­ter of the Association of Polish Artists and Designers (ZPAP). Buj­now­ski is the first winner of the award born in the 1970s. We say our good­byes to a great artist, inspiring com­panion and a friend of the gallery. 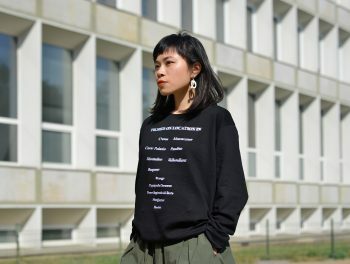 Rogalski’s cooperation with the Bytom brand has resul­ted in a limited edition of sweat­shirts with embroidery inspired by the artist’s work. An annual festival of con­tem­porary art put together by private gal­leries around the city. 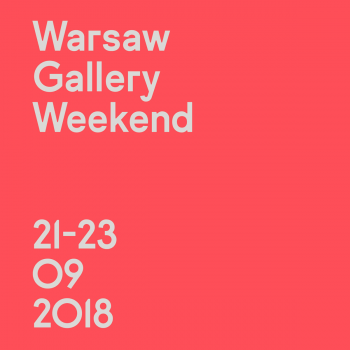 The exten­sive program of exhibitions and special events reflects the most exciting cur­rents in the Warsaw art scene today over three activity-​packed days.